Boutique automaker Karma Automotive is teaming up with one of the greatest names in car design for its future luxury cars. During the Automotive News World Congress at the 2019 Detroit Auto Show, Karma CEO Lance Zhou announced a partnership with Pininfarina, the Italian design firm that has likely shaped more of history’s best-looking cars than any other. “Karma is united in spirit with Pininfarina through our shared commitment to stunning design, and we are excited about the reaction we anticipate the end result of our partnership will generate,” Zhou said in a statement. The first tangible result of the partnership is a concept car that will be unveiled at the 2019 Shanghai Auto Show in April. Karma will also unveil a second concept car designed in-house, as well as an updated version of its only current production car, the Revero sedan. Established in 1930, Pininfarina has designed dozens of great cars over the years. Its résumé includes classics like the Alfa Romeo Spider and Ferrari 275 GTB. Pininfarina also designed the Cisitalia 202, which has a permanent spot in the collection of New York City’s Museum of Modern Art. Now owned by Indian conglomerate Mahindra, Pininfarina is branching out from designing cars for other companies into building them itself. Its first vehicle is expected to be an electric supercar called the Battista. With a claimed power output of 1,900 horsepower and top speed of over 250 mph, it should make a strong first impression. Karma sells the Revero, a luxury sedan with a plug-in hybrid powertrain designed to allow it to operate solely on electric power most of the time — similar to a Chevrolet Volt. The Revero was launched in 2012 as the Fisker Karma. About 2,000 were built before the company that made it, Fisker Automotive, went bankrupt. Chinese auto-parts company Wanxiang bought the remains of Fisker in 2014, and put the car back into production under the new Karma Automotive. That means Karma is essentially selling a seven-year-old design in a segment where up-to-date tech and fresh styling are very important. But that’s not Karma’s only problem. The “Fisker” in “Fisker Automotive” was Henrik Fisker, a noted automotive designer. He penned the car himself, but has since set up a different company to build luxury electric cars. If it wants to be taken seriously as an automaker, Karma needs to create its own unique style, something a company like Pininfarina can certainly help with. But Karma faces plenty of competition from more established brands, which are now steadily rolling out their own plug-in hybrid and all-electric luxury cars. 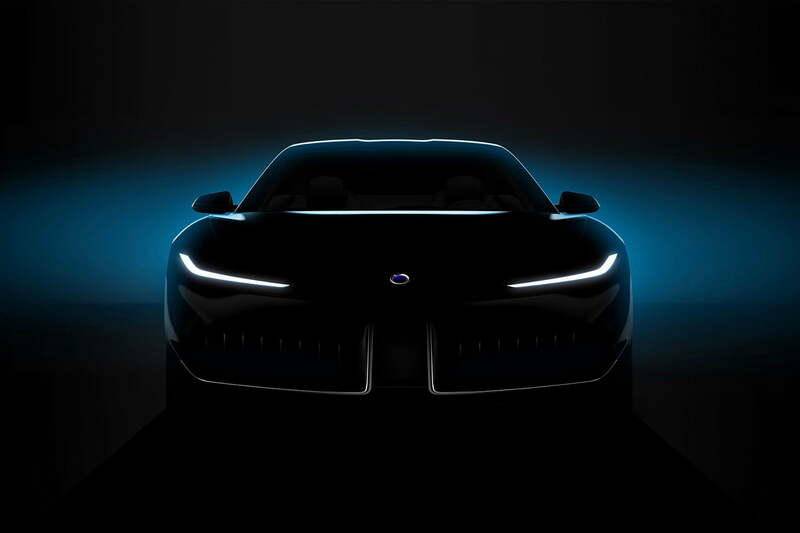 Updated on March 11, 2019: Added teaser image of Pininfarina-designed Karma concept car.